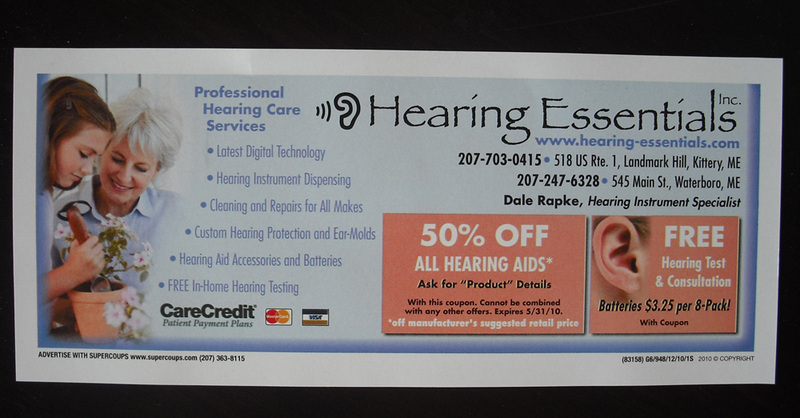 Hearing Essentials | Papyrus Watch - Exposing the overuse of the Papyrus font. This coupon was found by Nathaniel in one of those junk mail promo envelopes we all love (I actually always check them out for fun). I'm not surprised to see Papyrus here at all, in fact I'm surprised the font isn't used more often on these things.